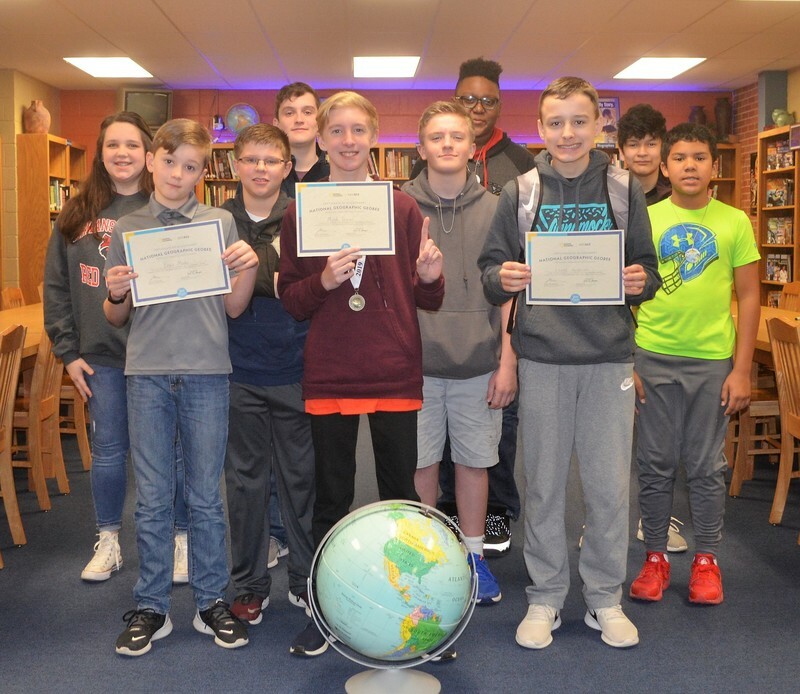 Micah Raney, a sixth grader at Goza Middle school in Arkadelphia was crowned the school’s Geographic Bee winner on Friday, January 11, and will now take the exam to qualify for April’s Arkansas State Geographic Bee. 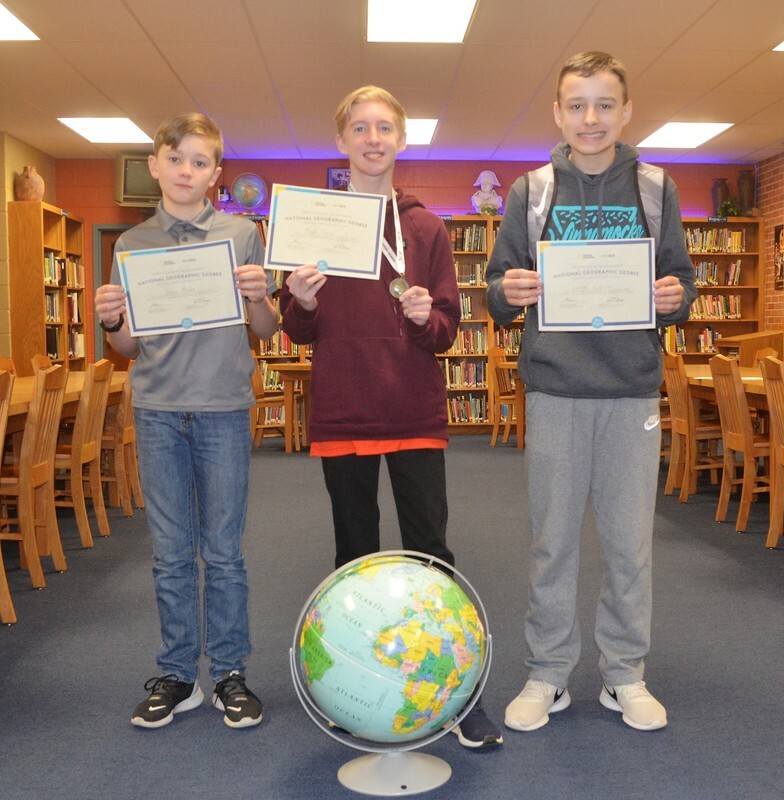 Finishing second place in the Goza Geographic Bee was seventh-grader Daniel Kesterson while third place went to sixth-grader Bryce Martin. Other students earning finalist positions were: Riley Jones, Hector Cervantes, Hayden Harper, Jared Campbell, Christian Moore, and Kyle Reed. Finalists in the Goza Middle School Geographic Bee are pictured together after the competition. For the 29thyear, the National Geographic Society is holding the National Geographic Bee for students in the fourth through eighth grades in thousands of schools across the United States and in the five U.S. territories, as well as in Department of Defense Dependents Schools around the world. As the champion of the Goza Middle School National Geographic Bee, Raney will advance to the next level of the competitions, a written examination to determine state competitors. All school champions are eligible to win the national championship and its first prize, a $50,000 college scholarship, at the national championship in May in Washington, D.C.